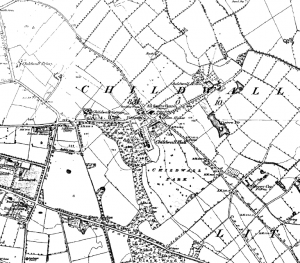 Childwall remained a small hamlet right up to the beginning of the 20th Century, commanding impressive views across large areas of Lancashire and Cheshire, and the Mersey. After the two World Wars it grew as a prosperous suburb. To examine Childwall on a map today is to see reference to an Abbey and a Priory. Older maps may mention ‘Monk’s Well’ or ‘Monk’s Bath’, and mark the place of a ‘Cross (remains of)’. But there has never been a functioning Abbey or Priory, and the now-resurrected cross probably marked the boundary of the township with its neighbour of Woolton. The Childwall Abbey hotel, with a possible date in the 15th Century, is the oldest part of the village. 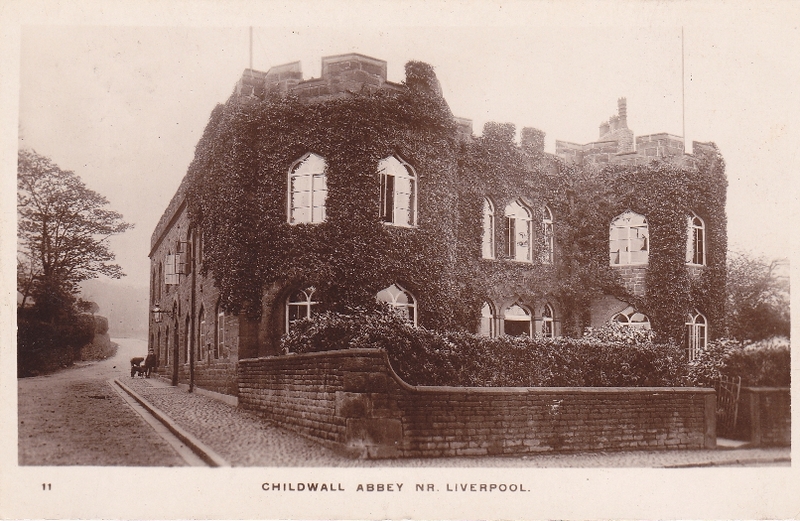 However, the tradition that Childwall was the location of an abbey may have begun when Childwall Hall was extended in an ecclesiastical style. Childwall Priory, on the other hand, was the name given to a farmhouse to the north of Childwall Priory Road, which also had an extension (in the 1820s) which resembled a church. Whether this extension was following a fashion laid down by the hotel and Childwall Hall is hard to say. Before it became a built-up area, much of the north bank of the Mersey consisted of mosses, peats and moors (shown in names such as Black Moor, Black Moss, later Black Horse, Lane, Gill Moss). Childwall (‘field of the well’) was a great example of this. Even today evidence for water in the township is easy to spot. Well Lane runs to the south-east of the church. Childwall Brook still lies to the north-east of the village. Childwall Valley Road still regularly floods after heavy rains, and large puddles and damp ground can be found on Score Lane Gardens. Other names can be found on older maps. Mire Lake and Monk’s Bath are both features which have long since disappeared beneath the city. Monk’s Well, 200 yards from Childwall Abbey Hotel, was probably the feature which gave the village its name. In 1965 workmen found a stepped well at the corner of Childwall Lane and Well Lane, which they later filled with gravel and covered. Childwall Brook springs up near Well Lane and Score Lane, at a point marked on maps as Monk’s Bath. This flowed towards Jackson’s Pond (marked on maps as ‘Cistern Pit’) which lay between the Loop Line and Gateacre Park Drive. This area is now covered by playing fields. Childwall remains a green and pleasant suburb. For most of its history this was even more apparent, with masses of green space. The few houses which did stand here were large and widely spaced. The two main residences were Childwall Hall and Childwall House, with only a handful of other buildings in the village. The roads from this isolated settlement were known for being sandy and unpleasant. Childwall Station once stood off a track from Well Lane. This was once part of the Liverpool Loop Line, which was an early casualty of Dr Beeching’s closures. This early closure was just one clue to the rural nature of Childwall until very recently: there were simply not enough passengers to sustain a station, and the village was quite a distance from it from the start. 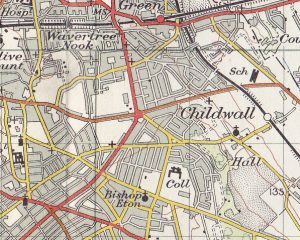 As we’ll see below, Childwall started out as an isolated village, and even though Liverpool encroached over time, as a suburb it retained a greener character right up to the twenty-first century. 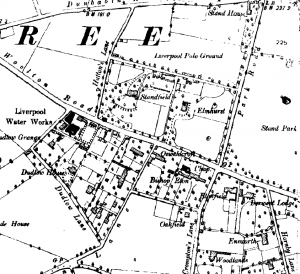 The earliest available Ordnance Survey maps show Childwall to be a small village on the east side of Liverpool. There is little more than Childwall Hall, plus the church of All Saints. Named on the map are Childwall Hall, Childwall House, Childwall Cottage, the Abbey Hotel, Ivy House and the large green areas of Childwall Park and The Grounds to the south of the Hall. This is the small centre of Childwall, around the crossroads, although there are a handful of farms and large houses dotted about the nearby countryside. The crossroads – Childwall Abbey Road, Well Lane, Score Lane and Childwall Lane – are the most ancient roads in the district. 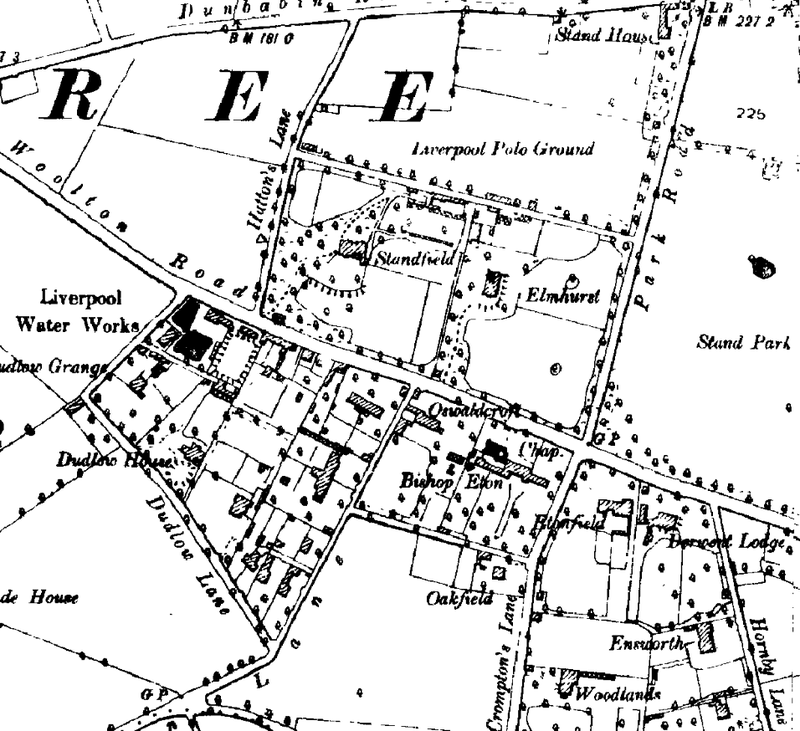 Score Lane leads to Broad Green in the north, Childwall Lane to Gateacre Village in the south. Childwall Valley Road merges into Dunbabin Road on the way to Liverpool in the west, while Well Lane peters out on its way to Childwall House. 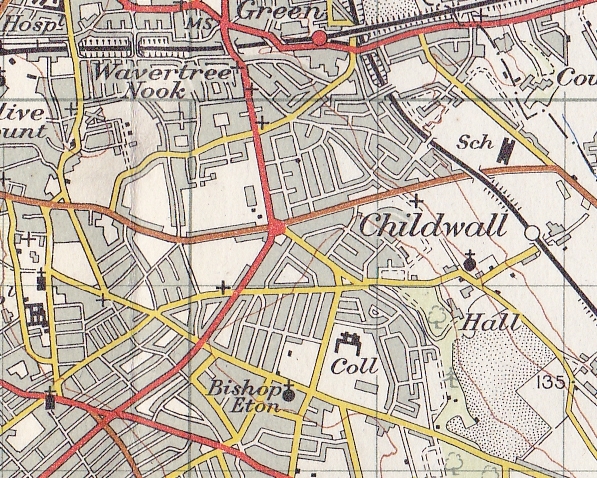 Looking slightly further afield reveals Childwall’s lack of importance at the time: the Manchester-Liverpool railway already services Broad Green (now the oldest in-use station in the world), but no such service comes to Childwall. The large houses which were to become the basis of later institutions are scattered around. Stand House is at the junction of Dunbabin Road and Taggart Avenue (known at this early point as Broad Lane). This house has a walled garden on Dunbabin Road, as well as five fields behind it, now taken up by the dense roads between Dunbabin Road and Irene Road. The other half of this block is taken up by Standfield and Elmhurst, the latter now part of Hope University. Over the road was Bishop Eton and Eton Cottage, separated by Green Lane. Woolton Lodge marked the south edge of the township, and its boundary with Woolton. Roby Hall lies in the north east, near the railway. As mentioned above, water features present on this map show where perhaps house-building was not possible. ‘Cistern Pit’ (Jackson’s Pond) is now covered by the Alderman John Village Garden, while the present site of Score Lane Gardens was then occupied by Monk’s Bath. In addition to this there are pools dotting the area: a large pond to the north of the cistern, several around Gorsey Cop and Cockshead Farms, another where Hope University now stands on the east side of Hope Park, as well as a whole group of them on the area marked ‘Carr’ to the north east. This area is covered in long, narrow fields, suggesting the unsuitability of this land for the enclosure-type square fields covering the rest of the township. Finally, Childwall Brook runs south-east – north-west near Childwall House, all the way from Monk’s Bath to Broad Green. Another characteristic feature of late 19th Century Childwall are the sand pits. The area to the south of what is now Childwall Triangle is marked as a sand quarry (and the northern side of the triangle is only a foot path). There are other sand pits: near Court Hey and south of Bishop Eton house. The most striking feature of this late 19th Century map is the Cheshire Lines railway which finally brought the trains to Childwall in 1879. Now part of the Liverpool Loop Line footpath, the track ran north-west to south-east, passing under the Manchester-Liverpool line at Broad Green. The station itself stood slightly away from the village itself, off Well Lane, the traces of which are only visible in the widening of the cycle track, and a path off the south-west side of the path. Right from the start a ramp allowed foot traffic to pass over the railway. 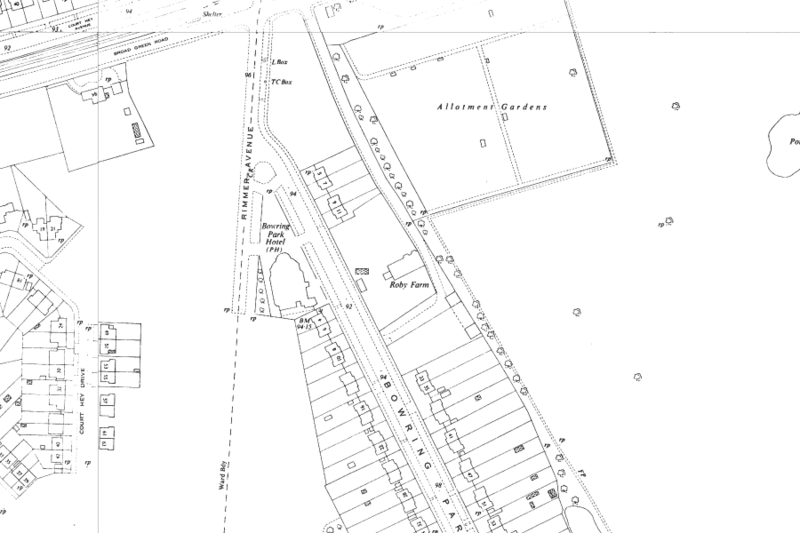 On the 1894 map the ramp joins two fields, but now joins Bentham Drive with Chelwood Avenue via Lanfranc Way and Lanfranc Close. The number of houses is beginning to grow by this point, although the number is still low. The majority of new houses stand to the south-west, in the direction of the ever-expanding Liverpool. Broad Lane is labelled ‘Park Road’. The area to the east of it is now Stand Park. Liverpool Polo Ground sits on land now occupied by the roads between Hattons Lane and Taggart Avenue. 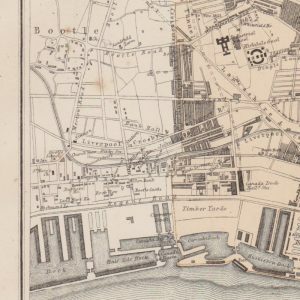 Dudlow Lane, which was marked and named on the 1849-50 map, has the Liverpool Water Works on it. This indicates increasing density of population, and the forward-thinking of the local government. The building marked as Dudlow Hall in 1849 is now Dudlow Grange. Although little may have changed on the ground, more detail is shown. 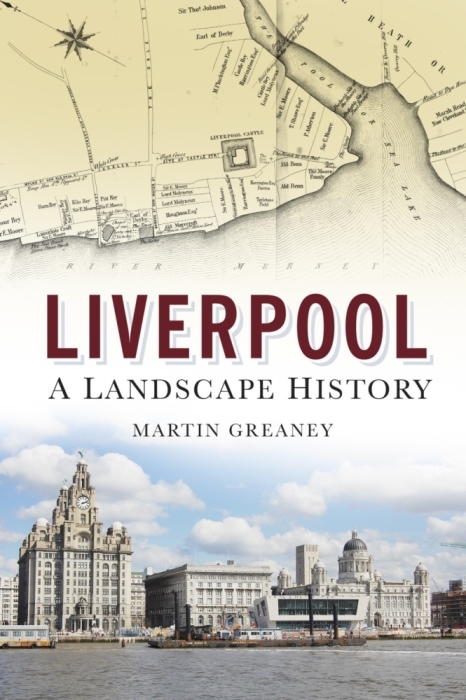 The boundary of the Liverpool Polo Ground is now shown. The area has also joined several fields together, all contained within it. 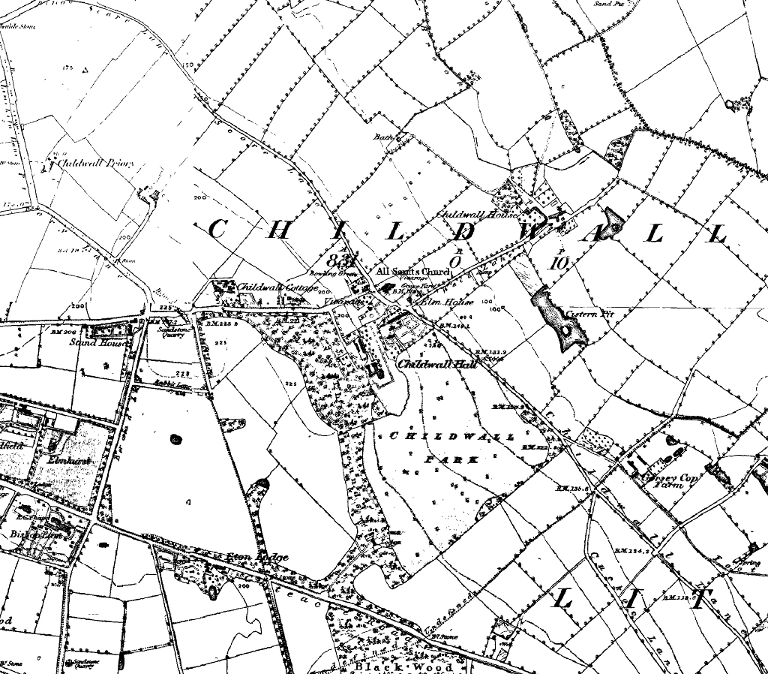 Other than this, very little changed in Childwall between 1894 and 1908. While this is not a very long period, it goes some way to showing the continuing rural nature of the township. It’s at this point in Childwall’s history that suburbanisation really starts to show. Beech Lane is now Menlove Avenue. Priory Road splits in two, with the northern part becoming part of the new Queen’s Drive. The southern end is now Childwall Priory Road. Both the Queen’s Drive section of Priory Road, and Menlove Avenue have been made into dual carriageways. A very forward-thinking development considering car ownership had only begun to take off in the previous 20 years. The Liverpool Polo Ground had already by now been broken up to use the land for housing. Green Lane North, Irene Road and Oulton Road already had houses on them, while Terence Road had just been laid out. Allotments for new residents were laid out in two areas around the junction of Hattons Lane and Dunbabin Road. One area of this is now under King David High School (although allotments survive to the south). What could be described as ‘classic’ 1920s suburban road layouts can be seen north of Thingwall Road. Here, Wavertree Garden Suburb is just starting to emerge around Wavertree Nook Road. This edition of the OS map only adds recent changes to a base map made in 1919. However, a big change is reflected in the local road layout. The junction of Queen’s Drive and Childwall Priory Road is now a junction of five roads. The Childwall Fiveways is well on its journey to being one of the busiest junctions in Liverpool. The roads either side of Park Road and to the west of The Grounds are now fully covered with housing. The third side of Childwall Triangle has also been built on. A golf course was built on part of Childwall Park. Childwall Golf Club moved to this course in 1938. Other areas nearby had also been built on by this time. The Hillside Farm area had been laid out, although only half of this was built by the 1947. The roads around Court Hey were also being laid out, and the map captures the process mid-way. Housing was gradually filling in the gaps south of Broad Green and north of Childwall Valley Road. Childwall was now on the edge of Liverpool, but the station on Well Lane had already closed. The last passengers alighted in 1931, the last goods in 1943. The isolation of Childwall, plus the distance between the station and the village, had meant that a stop here was just not economical. By this time much of the road layout visible today was in place. The roads around the college were completely built up, and the area around Black Woods was full with suburban housing. 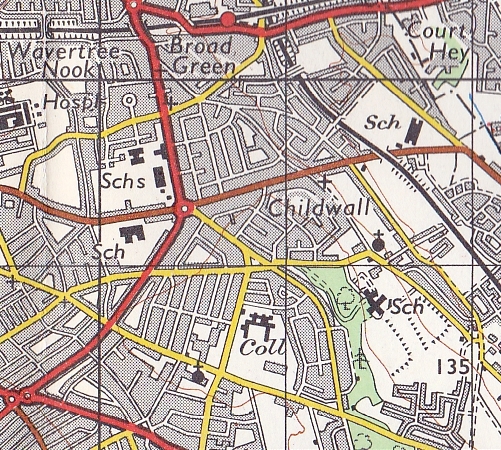 Childwall Hall is marked on this map as a school. The Hall itself was demolished in 1949, and a new college building put up in its place by Liverpool Corporation. Another school can be seen where the houses around Chelwood Avenue now stand. New roads are still being laid out, by now to the north east of the Cheshire Lines railway, demonstrating the continued demand for homes as Liverpool expands in the immediate post-war era. Barnham Drive did not yet extend all the way to Well Lane, and there is the expansion of buildings around Orange Lane and Gateacre Brow. As we look at progressively more modern maps, the main changes are the final gaps being filled by the suburbs. The collection of roads around Rockbourne Avenue appear for the first time on this map, and further infilling can be seen around Orange Lane up to Well Lane. The Cheshire Lines railway had by now been removed on the bend between Gateacre and Halewood. There was still a station at Gateacre Village, and the line still looped west towards the docks as it reached Halewood. The great icon of the modern age – the M62 motorway – was now draped across the north of the township. Another symbol of the modern city had sprung up from nothing. Netherley sprang up in the green belt in 1968, built to accommodate people moved out of unsuitable city centre housing. Gateacre Village station does not appear on this map. The line with dashes across it indicates that it is solely a freight line. The Cheshire Line’s rails were finally lifted in 1979. Wind dropped Shirdley Hill Sand across a vast swathe of land in the millennia since the last glaciation. 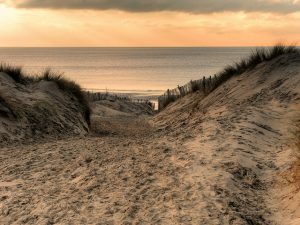 The sand lies along the Sefton Coast several kilometres inland, and has created dunes up to 75m (246ft) tall. Very nice info except it is Bentham Drive and Chelwood Avenue,not the other way around. You’re right Jay Tee – poor fact-checking on my part! I’ve edited the article to correct this, thanks for pointing it out. Very interesting. What I am trying to find out is when Childwall V R was built and when the houses were particularly below Bentham Drive. I lived in one until 1950 and I am just interested. Thank you. Childwall Valley Road and Bentham Drive were both built in the 1930s (for a photo of Childwall V R being built in 1931 see http://www.mersey-gateway.org/server.php?show=conMediaFile.25355), and the houses on Bentham Drive would have been built soon after. 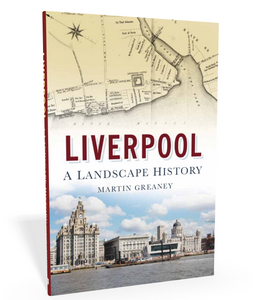 These developments were intended to serve the needs of the booming population of Liverpool between the World Wars. my mum assures me that they were built in 1939 just before the war. she too lived in one of the houses with her mum mrs white. My nan was one of the first to move into the houses (No. 181) which also boasted one of the first underground telephone networks in the area. ( no poles) My mum also tells me that she had a very good friend called Crossley at that time. my mum is 85 now and often relates stories about her youth in the area and allerton. Thanks Steve for your reply to my email, I have only just gone back to that site. My mother died at 87 about 16 years ago but was living in Cheshire then. I lived in number 171 1round 1947 to 1951. I remember that there was a house nearer the railway where 2 young ladies lived and I some times wandered around on my bike. My mother was the sort of person who would spend time talking to anyone!! Rushing back, late, to start Father’s tea. I went to The Holt High School until we left Liverpool in 1951, in retrospect I wish we had not left Liverpool. I am now investigating the area but important things are missing, the Overhead Railway and trams!! I look forward to hearing anything interesting from Childwall VR. on the old road, running parallel with the main Bowring Park Road from Ryebank School to the Horses’ Rest and then some thirties-style villas up to the tram terminus. Those houses held a lot of memories in our childhood, how did they come to be built in such an odd place. through Childwall (Valley) as being down to Dr.Beeching,which is in fact not quite true,as Dr.beeching’s “axe” fell on this Country’s rail system whilst I was still a pupil at the Bluecoat School,and that railway was still there when I left home at the age of 28 Yrs.,long after Dr. Beeching’s passing. Yes, my comment was a bit generic. Thanks for adding the extra detail – I’ll have to look more into this, but suffice to say that the suburban railways closed piece-meal across the second half of the century, with passenger routes often going first, and cargo trains still running until the 1970s. Even these changes did not happen all in one go across the whole line. for any information anybody could give, i have researched the surname from 1700 to my ancestors living in the Cheshire area Moor village and Dursbury but wondered if the road was named after anybody specific. I resided in wellgreen road on the childwall valley estate and left in 1992, on walking to school (Gateacre Comprehensive) in the late 70s, I recall still seeing the freight trains running around 1978/9, at that time as a 13/14 year old I wandered where those trains went to… I pursued that information over the years, however thank you for confirming it was freight and I had unconfirmed hearsay on the line previously having passenger’s, so thanks again!. Thanks for sharing your memories with us, and I’m glad to be of help with those train-related rumours! to tell her about too which she I feel sure will also find interesting.Nancy has been trying to help me contact her. I’ve forwarded your email address on to Jill, so hopefully she will get in touch with you directly. Do you have any more information on Childwall Park Avenue? I live on the corner by Countisbury and a neighbour told me that they stopped building houses, after my next door neighbour’s home was built, until after the war was over. (This is going from Taggart Ave towards Woolton Rd, oop Devon Way). I’ve looked online for photos or details of my house, and for old photos of Childwall Park Avenue, without success. You’re neighbour’s right! 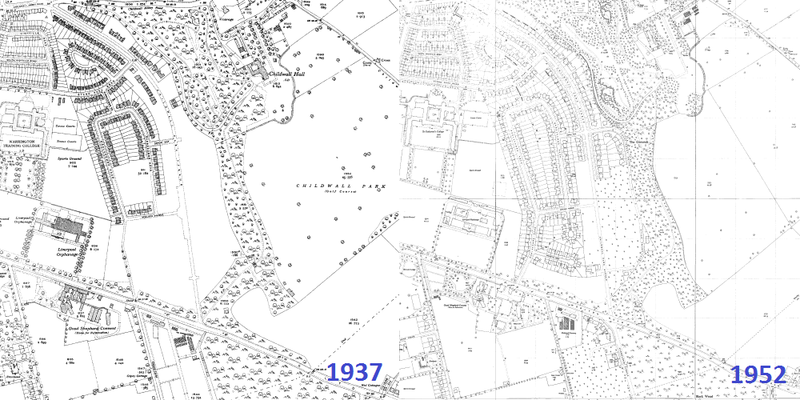 Looking at the different editions of the Ordnance Survey maps, we can see that in 1937 there were no houses on Childwall Park Avenue south of Devon Way, and none for a little way north either. The map for 1952 shows that the west side was complete, but the east side only had five houses south of Devon Way. So assuming that they kept building between 1937 and 1939, they could definitely have built right up to Devon Way by the outbreak of war, finishing things off afterwards. Many of the workmen building the houses would have gone off to war, and the housing demand would no doubt have fallen with so many people going off to war, and many not returning. Hope this helps settle the question! I did not see any reference to the area named the Rocket which was named after Stevenson’s Rocket, the first passenger train in UK running from the Rocket to Manchester. I had the Rocket Hardware Store by the pub but I see it fell to the freeway progress in the 70’s. I had sold the place in 1967 moving to the US. Many fond memories of the area and remember many of the customers. Some may remember me delivering paraffin oil at all times of the night in winter and bedding plants all summer. That’s a good point. The area known as ‘The Rocket’ these days feels like it falls between Childwall, Wavertree and Old Swan. On my map the Rocket Flyover crosses the boundary between Wavertree and West Derby townships, though I can see why you’d feel like your shop on the motorway site would be considered Childwall. I’ll make sure to mention it when I come to revise the other townships’ pages. I remember the Rocket Hardware shop near the Rocket pub. There were some great shops on that side of the road. There was a fish and chip shop where they sold the most beautiful fresh cod. Further up Bowering Park Road there was in the basement of one of those big old houses a wonderful shop that sold freshly made donuts. I lived nearer to Bowering Park and went to school at Northway County Primary school and used to walk to and from school to save my penny tram fare to buy sweets. I used to take the tram when it was raining or worse though. I seem to remember purchasing garden canes and split canes from you to make bows and arrows for hunting grizley bears and fighting off enemies in Bowering Park. Also remember buying ‘donkey’ elestic to make catapults. We told you it was to power model planes so you would not refuse to sell it to us. Happy if rose tinted memories from a happy childhood. It was a shame all those properties had to be demolished to make way for the M62 Motorway. Hope you like living in the States. Hi trying to find picture of Rocket Hardware Store as my husband lived there when a little boy, his Grandfather owned it .it’s for his 70th b’day.he also went to Northway school . Check this picture here. These are the shops I knew of that were across from Tescos, that were all torn down for the flyover. There are a few older pictures of the original rocket hotel around. Not sure if/how I can post them. Anyway, here is the link to a small picture of them shops. The original photographer has a blog somewhere as he lived near the rocket. and has lots of pictures posted. Here is a bigger image I found. Sign on the last shop clearly reads Rocket Hardware – if you zoom your browser a bit. Is that it? Reckon we used to go the Chandlers round wavertree nook, instead of having to cross the drive. Although we did cross the drive to go the sweet shop by the Rocket Pub. It was open till 10PM, so in our house, it was called the 10 O’clock shop. Happy Days….. Pretty sure these are the same shops long before the Drive was widened. The chimneys appear to match. How long did you dads father have the shop. It would be the end one, I reckon. I lived round the corner in Bowring Park Road and as a child was fascinated by all the plants and seeds sold at the Hardware Shop. At that time the shop seemed to be run a really lovely lady (racking my brains to try and remember her name) but I believe she re-sited to a similar shop in Honeysgreen Lane, West Derby, after the lovely shops were pulled down. All those shops were so nice, including the chippy where the man would sometimes give you an extra chip. Of course then the chips were wrapped in newspaper. And the sweet shop ladies who would demand to know what you were doing if you weren’t in school! And the cake shop just by the Rocket Pub – I think was individually-owned. No chains of shops then in the 50s and 60s. Really appreciate all the lovely photos people have posted here. Have only just come across this site. Such a shame such beautiful and inidivual shops and houses were pulled down. Progress they call it. Replaced by concrete flyover and concrete underpasses. By the way, Bowring Park Road was up to the 20s or 30s the contination of Broad Green Road, and according to my Dad our house at No 30 was actually 84 Broad Green Road. This was probably before the roundabouts were put in. Roundabouts got rid of for the flyover and motorway. I remember the very kind Mrs Dutton too, the lollipop lady who escorted us children across Queens Drive at The Rocket when we would go up Waldgrave Road to Northway School. Thanks for your comment! That’s exactly what I hope this site does – reveals parts of people’s home area that they didn’t know about. Does church have tunnels through to the Abbey Pub ?????? I’ve heard this rumour a few times, but someone on the Yo Liverpool discussion forum pointed out that the gradient between the two buildings would be too steep to make this practical. I’d welcome any comments on this, but that seems to be the case. I lived with my parents and also went to Ryebank Prep School until the beginning of war in 1939 .II remember travelling on the țrams No.6a and going to my grandparents who lived in Wavertree. Happy memories. I also went to the Holt School after the war. Hello, and thank you to anyone who could help me with my research. I am researching the history of a house on Woolton Road, next to the building called Our Lady of Annunciation. Specifically, Malden (also seen as Maldon) Lodge. I reside in America, so I have to depend on the internet to learn more about the area. Could anyone please help me as to where to look online for the land records, and history of the building itself? Or the history of who has lived there in the past, and what it’s original function was, if it was a part of the church held lands. I have been doing census and land ownership searches, but have not found anything specific to the actual house. Thank you for any insight, memory, or guidance. There are a few specialist guides online, but one of the best places to start might be the National Archives, and their page on researching house histories. Also, there’s a good overall guide by the Guardian newspaper on How to research the history of your home. Plus that’s written by Nick Barratt, who’s got a lot of experience with family history! This message is actually for the administrator of this site. I know it’s not part of the idea of this site but it seems that there is a threat to the building mentioned by Jill Lyon in a posting of hers. I’ve replied to her and so has Pam Leadbeater of local CPRE (Campaign for the Preservation of Rural England), but sadly no reply so far. Pam would like to communicate with her re this building Jill has mentioned but if Jill doesn’t go on this site then she won’t be able to contact her. Is there any way you could – as admin – email Jill and explain this to her and ask if she would be willing to drop an email to one of us? Thank you for considering this, and sorry to ask, but we’re only interested in the preservation of this beautiful building, rather than see it demolished to make way for modern flats. I’m on info@garstonanimalrescue.com and I’ll post Pam’s email in a mo. Thank you, Nancy, tel 0151 494 0470 and 07745 167170. Thanks for your message, and it’s great to see your concern (and other people’s!) for the preservation of old buildings. I’ll pass on your details to Pam, and refer her to your comments here. I’d rather not publish Pam’s email on here without her permission first (there’s always a risk that the email address will get spam just by being online – not from people reading this though). If anyone reading this wants me to pass on their email to Pam, or would like her address, then let me know as I’m sure she wouldn’t mind me doing that with what looks like an ‘official’ CPRE email address. Does anybody know what was originally on the corner of Rimmer Ave / Bowring Park Ave / Roby Road? There are four “new” houses (built 90s) , but the original houses on Bowring Park Ave start at number 7 I think. The “new houses start at number 1 / 3 / 5 / 5a indicating that there must have once been properties already there. Thanks. Hi Matty, There was nothing there, just waste land when I was a child, the houses started at No 5 for some reason and the allotments backed on to these. Prior to Bowring Park Avenue being built there was Roby Farm just opposite where the Bowring Park Hotel stands today. The detailed maps from the 1950s show the house numbering. It might be that the planners envisaged the Farm being demolished at one point, and so reserved some house numbers. Many thanks for the map Martin, nice to see it in black and white. Thanks Sue for your info. BW Matty. There were lots of similar areas of waste land on the other side of the railway such as the houses on Childwall Lane after Milton Avenue before the Post Office and on the right at the top of Hilary Avenue and where Regent Avenue is today. My parent’s moved from Rushton Place in Woolton to Well Lane Childwall in 1927. They lived in Station Cottage which originally was a farm house . My Father was a Signalman with the Cheshire Lines Railway and rented Station Cottage and some adjacent gardens. When they moved to the Cottage I believe it was still lit by oil lamps . When I drive past now down Hartsbourne Avenue I remember the great summer days there and of cause the severe winter’s when Well Lane was more or less cut off with snow and ice. I was born at the Cottage in 1942 . My parent bought fresh milk from Jacksons Farm which was just across the way and our eggs and poultry from Carroll’s Farm . 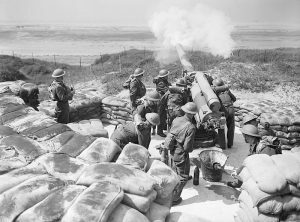 During the Blitz on Liverpool especially in 1941 the Army had installed Anti Aircraft guns in the fields between our Cottage and Childwall Valley road. So you can imagine the noise when the Ack Ack guns fired as the German bombers flew over head . The guns where later moved up into Childwall Woods . To see the area now you would not know all that had gone on . Station Cottage , Jackson’s Farm , Carroll’s Farm were knocked down in the 1960’s to make way for the new Council Estate on Hartbourne Avenue. So we had to moved away . But I still have great memories of Station Cottage, Well Lane , Childwall Liverpool 16. Thanks for sharing those stories. Yes, I had no idea all that was going on in Childwall at the time! It’s amazing to think about how the whole of Liverpool was affected by the war, not just the central area and docks. Hi Martin, only came about your site by chance . Its surprising how many people did not realize there was a Railway Station at Childwall. I mentioned the Blitz . Well Childwall was hit a number of times by Parachute mines . And there was fatalities especially In Bentham Drive area . There was an air raid shelter at the Rocket and forty people were killed there after a direct hit. There is a photograph on the Net of a parachute mine that landed in a garden in Score Lane Childwall . It failed to go off and the very lucky family are seen standing by it. If anyone wants to know more about my early days in Childwall please do not hesitate to ask. Hi … great site. i have lived in childwall since 1972 as a kid when roads were quiet and traffic free. Two famous things you didnt mention was the horrific murder of young girl in the late 60s in the house on childwall valley road next to the railway bidge which is now the new loop line. The other thing is the well known devil ghost that haunts the playing fields along barnham road. Hi Mark, glad you like the site. They sound like two very interesting incidents, so I’m glad you’ve added them here! Very nice memories from ‘well most’ people here. I lived near the rocket between 64 and 75. Mum and dad moved there from Anfield. 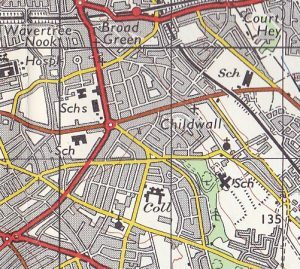 Mum always considered it Childwall, but your map confirms my doubts. As 9 or 10 year olds we used to make a pilgrimage from the rocket to Chilly Woods. Must be a few miles. Quite a trip for kids our age. Recall the long paths and rock outcrops we used to play on in the woods. We’d be there for hours. Our parents never knew where we where. I wonder are today’s parents as liberal. Other memories of the area include the original rocket hotel. The shops mentioned earlier that we’re all knocked down for the m-62. The abbey picture house. Our school, Christ the King. Northway park and school. Cardinal Newman and the baths. The Holt comp and their massive playing fields. Happy days. Now live in Canada. Left shortly before the m-62 flyover was completed. Pretty sure these are the same shops long before the Drive was widened. The chimneys appear to match. Thanks Tony for the two photos, I will suprise my husband with them.do u gave a photo of Northway Primary School Broad Green? . Easier for you to Google Search for an older Northway picture. I did find this which even has some class pictures. I never went to Northway, as I am of the catholic persuasion, so Christ The King was my school. That is a Northway school Facebook page. Looks like it got expanded in the last few years. The park behind Northway is where I spent my youth with friends playing footy. J. Wallace – I just joined the Northway Primary school Facebook page. There are people posting there from as early as the 50’s, so it is possible your husband would know some of the people posting there. Lots of old memories from around the area we grew up. In view of the current planning application to demolish Maldon Lodge, Woolton Road, Carla Lane’s old home, I am wondering what the history of the Lodge might be, with a view to applying for a British Heritage status, in order to prevent the proposed building of a block of five storey flats. Thank you so much Sue. I hope this information will help persuade the Planning Committee NOT to allow the demolition of this historic cottage, particularly for the construction of a five storey building. There are a few stories online (from the likes of Tom Slemen) recounting stories of the police encountering people in Bowring Park, who have set fires and acted a little oddly. There were allegations that it was related to Satanism and other occult goings on, and this happened from the 1940s to the 1960s. so glad , I found this sight. It is very interesting and having just returned from a trip down memory lane after 52 yrs it is jogging my memory of My life in Childwall until my marriage. I lived in Well Lane and was married at the beautiful Childwall church.